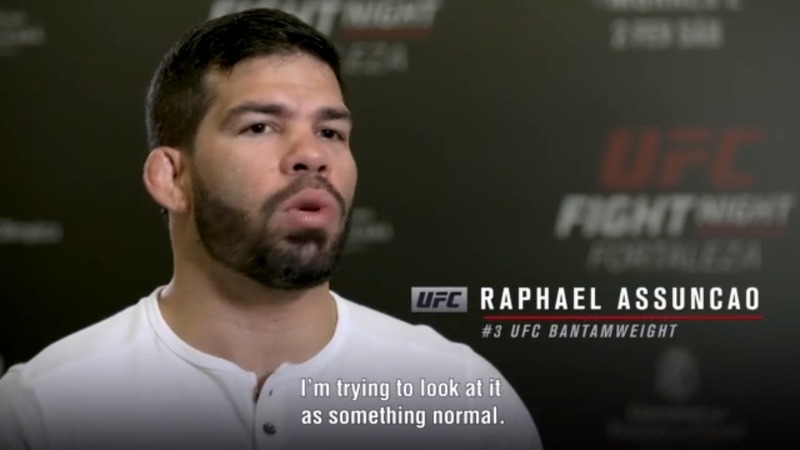 It may have been an odd question in the lead-up to Raphael Assuncao’s main event rematch with Marlon Moraes in Fortaleza on Saturday, but there was a point in asking the No. 3-ranked bantamweight contender if he played sports when he was younger. Not surprisingly, Assuncao didn’t mind the question. Why does something like this matter? Because it’s clear that even though Assuncao may not have been the most physically gifted kid on the block, he always showed up, always played, and was always a gamer. In other words, competing is in his DNA, and that’s evident in his fighting career, one that has seen him lose just one fight in the last seven-plus years. In the UFC, that’s almost unheard of, and even when things might not be perfect in training camp or on fight night, Assuncao almost always finds a way to win. One of those wins was over Moraes, as Assuncao spoiled his Brazilian countryman’s UFC debut in June of 2017. It was a close fight, and it’s expected to be just as close the second time around, but that may be the only thing that resembles their first meeting. Since their first bout, Assuncao has knocked out Matthew Lopez and decisioned Rob Font, keeping his spot among the 135-pound elite intact. Moraes has been even more impressive, decisioning John Dodson before scoring highlight reel knockouts of Aljamain Sterling and Jimmie Rivera. In other words, while the first fight was important, this one may net the winner a shot at TJ Dillashaw’s title. 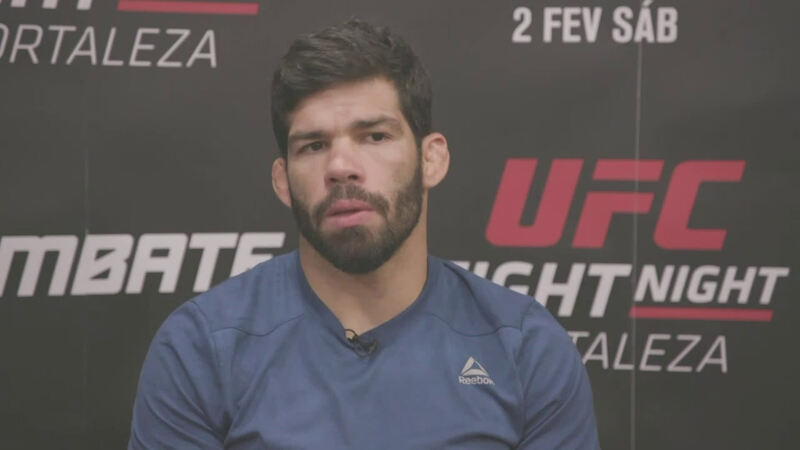 No one knows it better than Assuncao, who has already split two fights with Dillashaw while putting together a body of work that undeniably puts him on the short list of title contenders. But the 36-year-old has never been one to make a lot of noise outside the Octagon. He just shows up, fights and wins. Assuncao: "Beat Marlon, Then Title Shot"
Raphael Assuncao has a plan. First, he's going to beat Marlon Moraes at UFC Fortaleza and then he'll earn his bantamweight title shot. At least the main event placement against a fellow top five contender is a step in the right direction. And though the title picture is still up in the air considering flyweight champion Henry Cejudo’s desire to move up to 135 and give Dillashaw a rematch, the winner of Assuncao-Moraes 2 has to be next in line. That’s Assuncao’s hope, and even if hope fails, he’s still going to show up to fight. And when he does that, you know what usually happens next. Who Do You Think Won: Alves or Griffin? Poll: Who Should Fight Dillashaw Next?